In this resource there are three pages of activities. Each page has to be completed before progressing onto the next. The mark, back and reset buttons all work although you can't progress onto pages two or three with the mark button activated. The first.. 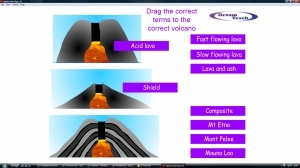 This drag and drop game tests pupils knowledge of the three main types of volcano. They simply need to drag the correct label to the correct volcano. It can lead to some interesting class debate about which ones are correct! 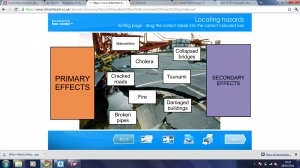 In this resource, pupils need to match up the features correctly. 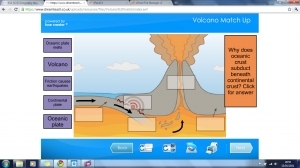 There are 3 pages; inside a volcano, subducting plates and plate tectonics. An activity needs to be completed in order to move onto the next one, and the mark button clicked to remove..